Even in this age of political correctness, it’s hard to argue with some national stereotypes. The English are generally uptight, the Italians are passionate as hell, and Canadians? Well, they’re basically the friendliest people on the planet. 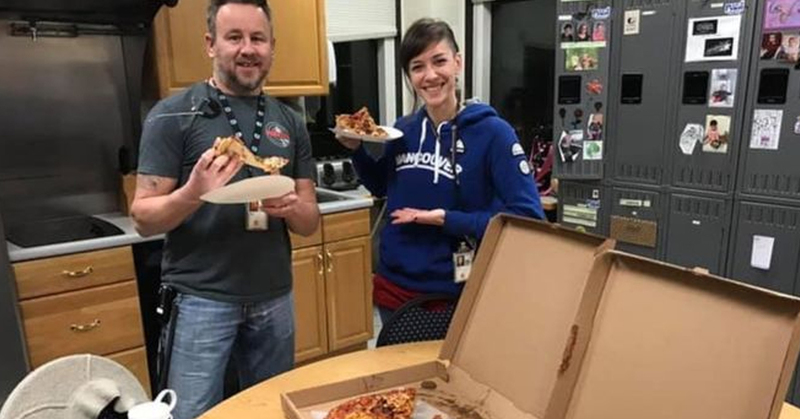 This has been demonstrated in beautiful style over the last week, where air traffic controllers in Canada are sending hundreds of pizzas to their US counterparts who are working through the federal government shutdown. A collection that was started by employees had developed into an industry-wide show of solidarity, the Canadian Air Traffic Control Association told the BBC. The partial government shutdown in the US – now in its 24th day – has become the longest in US history. It’s caused all kinds of problems for 800,000 government workers – including missing their first paycheck of 2019. Air traffic controllers are among about 450,000 employees who are unable to suspend their work or take up another job, and so they are currently continue to work without pay. Thankfully, the nice folks in Canada have stepped in to provide hot, cheesy sustenance when it’s needed most. 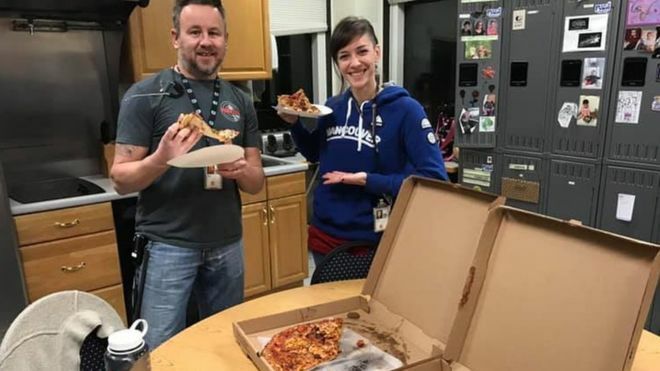 By Sunday afternoon, more than 300 pizzas had been delivered to 49 control centers across the US, estimated Peter Duffy, the president of the Canadian Air Traffic Control Association. “It was a true grassroots movement,” Mr Duffy said, explaining that the initiative started with a few Canadian controllers wanting to show their colleagues across the border in Anchorage, Alaska, that they were thinking of them. Wow. The world needs more people like that! The government workers will be paid eventually, whenever the powers that be have reached a deal and the government is reinstated in full. Until then, kind gestures like this go a long, long way.